Khaadi word came from Persian word meaning “hand woven”. It is now known for its dazzling colors, textures, styles in cotton and silk it the most sought after brand in Pakistan. It’s becoming intrinsic part of the Pakistani culture. Khaadi had made its everlasting impression in the market with its unique products. It was incepted by the designer Shamoon Sultan in 1998 .Its stores are working in all over Pakistan .Its store outlet are in Karachi, Lahore, Islamabad, Faisalabad ,Multan ,Rawalpindi, Sialkot, Hyderabad, Peshawar, Mirpur, Gujrat. Khaadi is famous due to its unique styles and traditional impact. Khaadi Turkish Lawn Collection for Girls is designed in well equipped design studio with qualified designers and professionals ensures that Khaadi offers a fusion of the eastern and western designs to the customers not only at national but international levels. Khaadi Turkish collection is specially design for the young girls who nares much conscious about their wearing. Khaadi give them opportunity to make their look more attractive in a decent way. Khaadi offers collection for children as well. 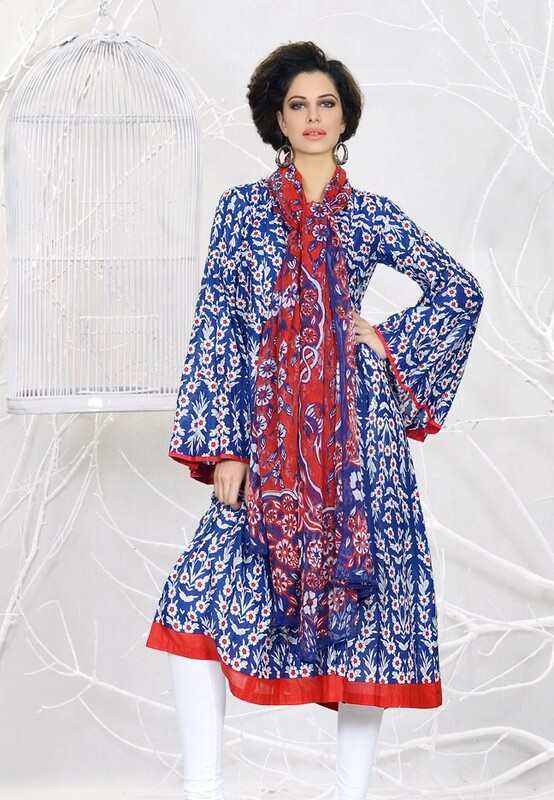 This Turkish Lawn Collection for Girls are so traditional but making it up to date with the market it incorporated beautiful trousers, tights and long A line shirts with Churidar Pajama, Shalwar which is hottest trend now a day. It is the perfect synthesis of east and west .Khaadi is the perfect way to make fun, bold and trendy statements to this season. Its impressive unique style gives you a limitless option to show you creativity with flexibility and suitability to wear as you want. As we know that everyone want to keep update their wardrobe according to the latest fashion trend and it must be change every season. In Pakistan Fashion Industry is rapidly changing and trend of western and eastern wear both are very common. Khaadi is the brand in Pakistan that is he helping to keep up to date our casual wear and party wear outfits according to the season in a trendy way. Why you Need a Dress ?